What is wrong with Football in China? In the last few years, we have seen insane amounts of money pumped into club football in China. Although we are now at a stage were the Chinese Super League (CSL) wants to survive on its own merit and not due to superstars attracting crowds. This has been seen in many ways as the Chinese look to expand their game with talent from within. It appears, however, with every step they make to improve Chinese football these, in fact, make the league worse. So this week it was reported that the Chinese Super League will look at implementing a wage cap. The idea behind this of course, in theory, is great as it will stop clubs spending loads on getting the best talent in and could see a fairer wage structure for all teams involved. This is not a good idea though as it could see players forced to take a pay cut. The wage cap is looking to be brought in for the start of the 2019-20 season which kicks off in March. This will mean for all domestic players in the CSL that currently earn over this wage cap that they will have to take a pay cut. I know that many people will say footballers earn lots etc. While that argument is boring on this occasion it is also not relevant. The first issue for why this is wrong is due to the fact that it as likely been put forward by the government rather than a rule the CSL want to put in. Although in a country that is supposedly 'communist' the idea of creating a league on paying players huge wages was never going to be one that would last. The thought behind this is then that this will stop vast sums of money being spent on foreign imports like Oscar, Tevez and Witsel. This will similarly apply to coaches as the leagues also seen many big managers come into the league on inflated wages. While it's reported that Lippi the China head coach is one of the best paid international managers. Looking at it this way you might think to wait this is sounding like a great idea but this is forgetting that the rule is being forced and will come in straight away. This will be seen as every player will be required to sign new contracts, with single-game bonus limits introduced and amounts announced at the start of each season, with cash payments and such types of awards not permitted. Last year, measures put in place to restrict overspending on transfer fees and salaries included, a tax on transfer fees valued at more than ¥45m (£5.07m) for foreign players and ¥20m (£2.25m) for Chinese players. In the long term, the idea will be that this will help develop talent in the country and stop players coming just for the money. If this works, we will have to wait and see but as with other rules brought in to improve the game in China, I am not convinced. The wage cap is one thing and can be seen in many ways but however, one thing we can all agree on is the league needs fans. As to improve any league in the world you need an interest in the game and this is something the CSL seems to be doing there utmost to stop. The most recent example of the league doing everything they can to stop fans enjoying the league was seen at the beginning of the month. 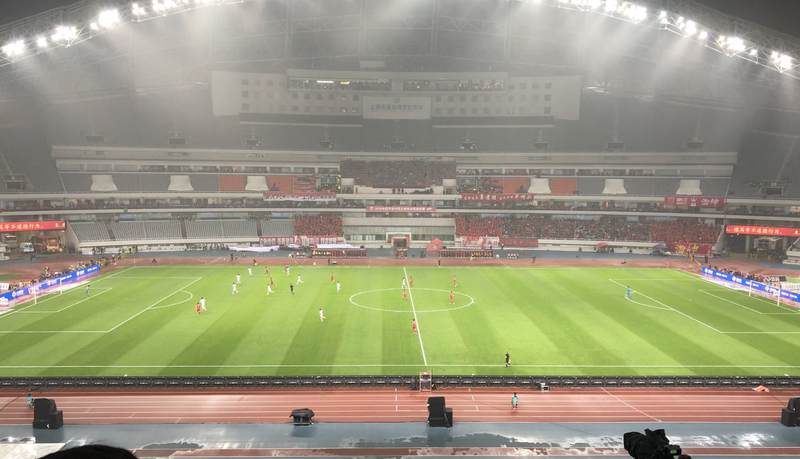 This was when after Shanghai SIPG beat second-placed Guangzhou Evergrande in an epic game with nine goals to win the league. The game itself was fine and attracted a crowd of near 50,000, however, SPIG next game was at home to celebrate the league title and this is when the issues arose. As the title-winning party game against Beijing Renhe was seen by only 18,000 fans the lowest crowd the side had seen at home all season. None of this was down to lack of interest in the game that is for sure also, they'd also not been a large rainfall before the game or a suddenly frozen spell. It was because no tickets went on sale for the match. The official reason giving for this shocking decision was that there was construction around the stadium that meant it was not safe for a large crowd to attend. This was coupled with the visit to the city by President Xi Jinping (which prompted city officials to rearrange work schedules, cancel events and flood the city with police and soldiers). Although even with all of that you would think that they would try and find a solution to this so that the fans could enjoy the celebrations and not have them ruined by red tape. If you are thinking wait but how was there even 18,000 in attendance, this was due to the fact all season ticket holders were allowed in and some touts sold tickets for at much as ¥1,500 (£170). This is another example of the CSL getting it very wrong again. As you look back at images from any league around the world of teams being crowned champions you see sell out crowds or at least not 40,000 empty seats. 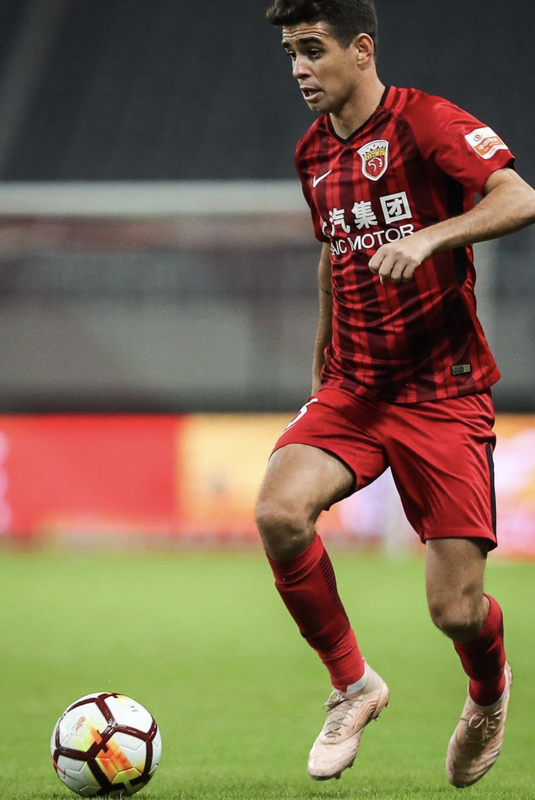 An issue that as also recently hit Chinese football is an odd one that as seen 55 players all under 25 from a range of CSL clubs picked to undergo military training with the special forces. This took place towards the end of the current campaign meaning players from all clubs lost players going into the leagues final run in. This was also compulsory with players who did not attend threatened with suspensions. The thought process behind this is unclear to anyone with a logical brain I feel. This, however, is not the first time a military training camp has been arranged. As players were also sent to military training in 2007. On that occasion, China was promptly knocked out in the second round of qualifying for the 2010 World Cup showing that it most certainly didn't help that time. I can only think that the idea is that this will help to create a new togetherness for future Chinese internationals coming through. Although for the country ranked 76 in the FIFA rankings I feel a better idea would be for them to coach and help nurture their footballing talent on that green field with white lines. 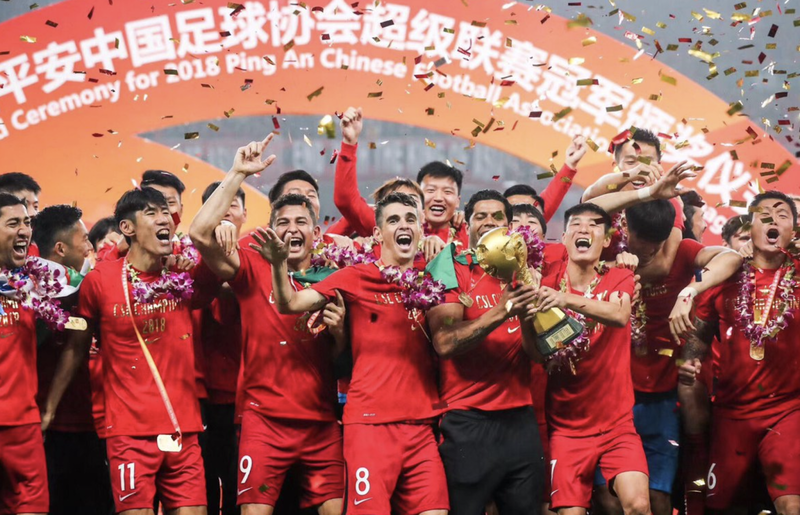 Then on the outside, the Chinese seem to keep trying to find quick fixes to improve football in the country and each time they look to have failed. I feel the only way in which they will change the game in the country is if they can find a long-term plan. Another way in which we have seen them look to develop football popularity in the country is by proposing the idea of bidding for the 2030 World Cup. Furthermore, if they want to have a team that can compete at that World Cup they still have a lot of work to do. 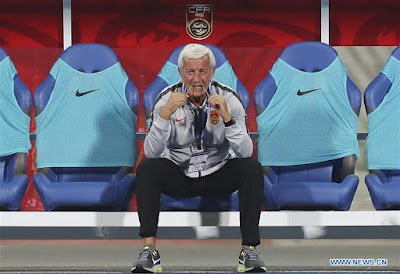 You feel now is the time for the league to push on and the CSL has been one of the best ever and maybe this will be the start of a new dawn for Chinese football.